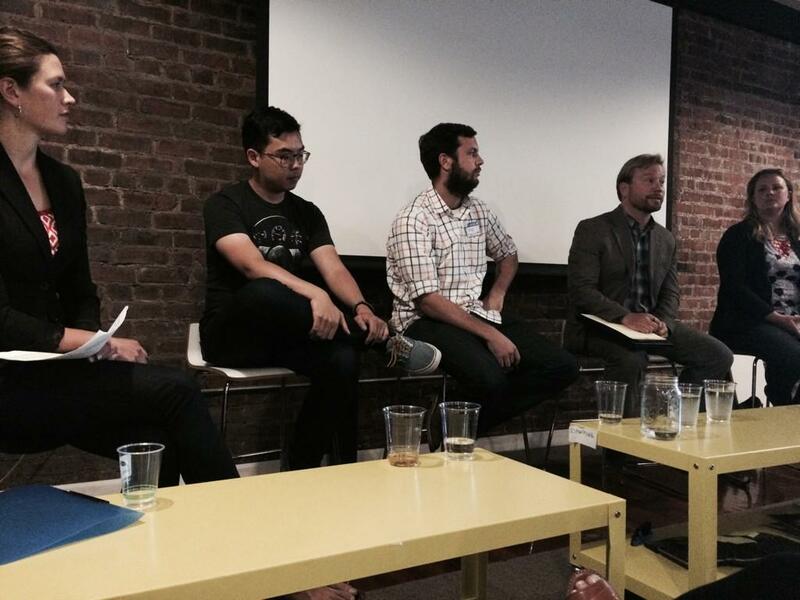 Cofounder Ryan Croft recently spoke at the Entrepreneurship in Transportation Panel Discussion in San Francisco. The event was hosted by the Young Professionals in Transportation – San Francisco Bay Area, and was held at the Code for America headquarters, which is where TransitScreen's west coast headquarters is located. Ryan, along with 3 other leading entrepreneurs in transportation, spoke to a full audience about their experiences with entrepreneurship in the transit industry. The event generated many in-depth discussions between panel members and the audience about the challenges and opportunities for entrepreneurship in both the private and public sector. "One of the unique things about being an entrepreneur in transportation is that transportation is something everyone understands. That personal understanding of transportation adds a lot of nuances when designing transportation services/products and understanding transportation needs. A good thing to ask yourself when you’re going through the process of innovation: Am I building something that people want?"